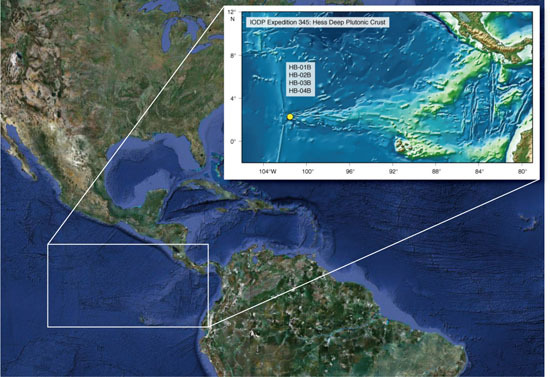 Based on IODP Proposals 551-Full and 551-Add, this expedition aims to understand the nature of gabbroic rocks that formed at the fast-spreading East Pacific Rise (EPR) and test competing hypotheses of magmatic accretion and hydrothermal processes in the lower ocean crust. The scientific objectives will address (1) the architecture of the oceanic crust inferred from ophiolites and geophysical observations along modern fast-spreading ridges, and (2) the extent and nature of heat and mass fluxes between the asthenosphere, lithosphere, and hydrosphere reservoirs. 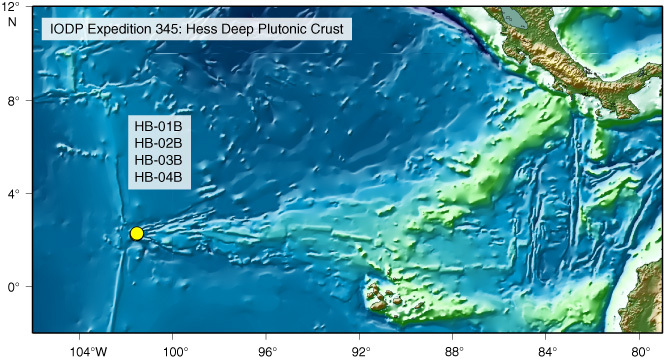 This includes (1) how is the lower ocean crust accreted at fast-spreading ridges, and how does this relate to the differentiation of mid-ocean ridge basalts; (2) where, when, and at what temperature do hydrothermal fluids penetrate into the lower oceanic crust, and what effect do these have on the heat and chemical budgets near the ridge axis; and (3) how quickly does the lower oceanic crust cool, what is the thermal structure at the ridge axis, and how do the magmatic and hydrothermal systems interact to determine the thermal regime.